April 28 – May 2 marks School Safety Patrol Week in Saskatchewan. 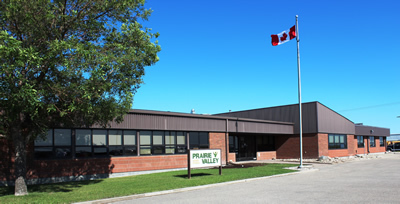 This week Prairie Valley School Division is celebrating the efforts of our volunteer School Safety Patrollers and thanking them for helping to teach their fellow students about traffic safety and how to be a conscientious pedestrian. CAA Saskatchewan began sponsorship of the School Safety Patrol in 1951 and now, approximately 3,100 patrollers assist in 67 communities with approximately 151 schools around the province. CAA Saskatchewan supplies training materials, supplies, stop paddles and reflective vests free of charge or at cost. There has never been a serious or fatal injury collision at a crosswalk controlled by our School Safety Patrollers. For more information regarding CAA Saskatchewan's School Safety Patrol program call 306.310.6222 ext. 0991.